In this ESG On Location Video, ESG's Mark Peters interviews Aruba's Larry Lunetta at the Aruba Atmosphere 2018 event, held in Las Vegas. In this ESG On Location Video, ESG's Mark Peters and interviews Eric Herzog of IBM at the IBM Think 2018 event, held in Las Vegas. ESG's Mark Peters provides his thoughts and predictions on IT Infrastructure for 2018. 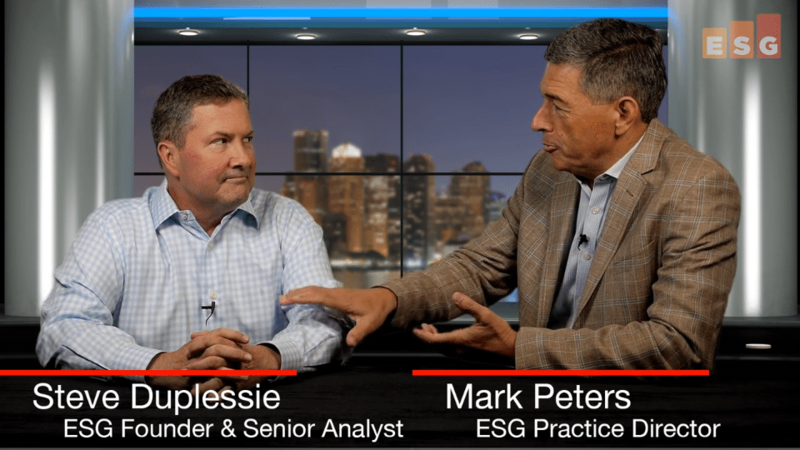 In this ESG Video Blog, ESG's Mark Peter's comments on Steve Duplessie's "Nothing in IT Ever Really Changes" video capsule.